The Grumman Corporation of Bethpage, New York, has been one of the handful of military aircraft builders since the 1940s. During World War II it manufactured a series of U.S. Navy fighter planes that were highly dependable and resilient. Grumman was the Navy's prime aircraft manufacturer in the early 1940s and most of its business came from the Navy. But after the war, as other companies began vying for navy contracts, Grumman decided to diversify and build some non-military planes. It also entered the new field of space flight. 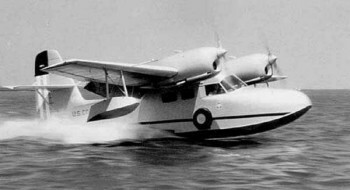 Still, from the late 1940s to the company's demise in 1994, Grumman maintained a strong relationship with the Navy and built several key aircraft for the seafaring service. As World War II was ending, the aviation industry began developing the jet engine. 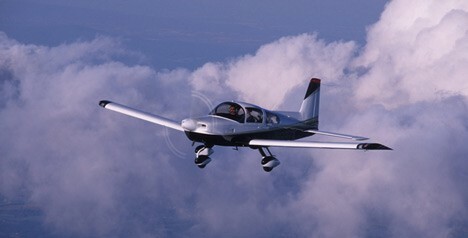 A new era of flight was dawning, and Grumman engineers worked on perfecting the new technology. By 1949, they had created the F9F Panther, the company's first combat jet and the Navy's primary fighter plane of the Korean War. It was a carrier-based aircraft that used several weapons systems and handled a variety of missions ranging from protecting heavy bombers to photoreconnaissance. It also excelled at individual strafing and bombing runs. During the war, F9Fs would fly more than 78,000 combat missions. In the mid 1950s, competition among various aircraft companies for military business became intense. One corporation, McDonnell, was particularly interested in securing a navy contract for an all-purpose fighter. McDonnell edged Grumman out as the Navy's top supplier of jet fighters with its superior Phantom. It would take Grumman more than a decade to design a plane that would supplant the Phantom. Despite Grumman's loss to McDonnell, the company continued to build some key naval aircraft, especially surveillance and detection planes. In 1953, Grumman introduced the S2F Tracker, a hunter/killer aircraft. This twin-engine plane excelled at electronic tracking and antisubmarine warfare; it would "hunt" down its enemy using its detection equipment and then "kill" it with its vast array of weapons. The Tracker was the first U.S. carrier-based hunter/killer. In February 1958, Grumman produced its second major naval surveillance plane. The WF-2 Tracer was the first carrier-based airborne early-warning aircraft. It could detect enemy offensive weapons at great distances and coordinate friendly aircraft for a counter-attack. One of the most remarkable aspects of the Tracer was the large radar dish that rested on top of the plane's fuselage. The radar looked like a huge mushroom and was almost two-thirds the size of the actual plane. The Tracer became one of the premier intelligence planes of the late 1950s and remained that way until Grumman improved it and built the Hawkeye. The E-2B Hawkeye, which first came into service in October 1960, has remained one of the most important US military planes to date. With state-of-the-art surveillance equipment, and the ability to refuel in flight, the Hawkeye was, and newer models continue to be, one of the most advanced surveillance aircraft. In the mid 1970s, its ATDS (airborne tactical data system) could track as many as 200 enemy targets at once and develop a logical counter strike plan. In 1991, the Hawkeye played a key role in the Persian Gulf War and in 2002, is poised to make some vital contributions to America's war on terrorism. When Grumman lost its hold as the prime manufacturer of the Navy's first strike fighter, it decided to diversify and build products for the commercial market. One of its first successes was the 1956 Ag-Cat, a single-seat, crop-dusting biplane. In 1958, Grumman unveiled its Gulfstream, a small corporate, land-based transport plane that held 19 passengers. The Gulfstream was a huge commercial success. In fact, it did well enough to warrant another model, the Gulfstream II, a twinjet that debuted in October 1966. Grumman even built canoes, a few experimental hydrofoil boats, a submarine, and delivery trucks in the 1950s and 1960s. Despite Grumman's move into the commercial market, it still kept entering design competitions for navy combat planes. In the late 1950s, the strategy paid off when the Navy selected Grumman to build a new all-weather, low-altitude attack plane. Although not the top-of-the-line fighter that Grumman most desired, the A6 Intruder was still a key combat plane. Able to hold a pilot and bombardier, this carrier-based, subsonic attack aircraft entered service in April 1960 and became an important weapon during the Vietnam War. With an electronic attack-navigation system, the Intruder faired quite well against the enemy. It also carried approximately nine tons of bombs and missiles. By 1965, the Navy was so pleased with the A-6 that it asked Grumman for a more advanced model—the EA-6B Prowler. Essentially a more sophisticated version of the Intruder, it incorporated a more advanced electronic countermeasures system and a crew of four. The Prowler saw heavy service during the Persian Gulf War and will undoubtedly be an important weapon in the war on terrorism. When Grumman was diversifying in the late 1950s, a huge new market—space flight—opened up. Grumman entered any space design competition it could. In 1960, it won the contract for the Orbiting Astronomical Observatories (OAO). These observatories were the first space telescopes, the direct forerunners of the Hubble Space Telescope. They were serious scientific instruments that provided scientists with new views of the universe. Grumman built four OAOs in all. Grumman's experience with the OAOs helped it win the contract for the Apollo Lunar Module (LM), the spacecraft that the U.S. astronauts used to land on the Moon. The LM was the world's first true spacecraft because it operated totally outside the Earth's atmosphere. Many contemporaries called it the "bug" because of its four insect-like looking landing legs that attached to a gold Mylar-covered, cube-shaped descent stage. This stage held the engine that allowed it to descend to the lunar surface. On top of the descent unit rested the ascent stage with the ship's control room and the engine that lifted it off the Moon. Perhaps the most important LM was not the first one that landed on the moon during the July 1969 Apollo 11 mission but rather the one the Apollo 13 astronauts used as a "lifeboat" during their ill-fated mission in April 1970. In all, Grumman built 12 LMs, six of which landed on the Moon. While Grumman was busy manufacturing the LMs, the company was also trying to regain its position as the Navy's top supplier of jet fighters. Grumman engineers began working on a new fighter design almost as soon as the McDonnell Phantom appeared. Their new concept, a variable-sweep-wing fighter, first surfaced in a design for the F-111B in 1964, but because the F-111B never made it past the prototype phase, due to military inter-service quarrelling, Grumman engineers added the variable-sweep-wing concept to their new F-14 Tomcat. The Navy was impressed with the plane and agreed to make it their front-line jet fighter. In September 1972, the Tomcat began replacing the Phantom on U.S. aircraft carriers and naval bases. Because it could travel at Mach 2.5 at both ground and sea level, and its extremely flexible and superior weapons system, the F-14 remained the Navy's best all-around fighter for well over 20 years. Grumman began to run into serious financial difficulties in the 1980s. Although it continued to build Tomcats and Hawkeyes well into that decade, the end of the Cold War seriously hurt the military aviation market and Grumman suffered accordingly. Even though the company had endured massive layoffs after World War II, with its workforce falling from approximately 25,500 to 3,300, it had still built itself back up to around 37,000 workers by the mid 1960s. Nevertheless, by 1994, the company was facing serious enough financial problems that it could no longer stand on it own. Northrup, a competing company, purchased and subsumed Grumman, forming the Northrop Grumman Corporation. For more than 60 years, Grumman had been one of America's most important military aircraft builders and had also built the spacecraft that put humans on the moon. But shortly after the Cold War ended, a war that had helped Grumman thrive, the Long Island company met its demise. Modifications included a 108-hp engine (instead of the original 65 hp), non-aerobatic, and stay-at-the-airport dimensions. It also became a stay-on-the-airport-runway airplane; the original design might have been better, but it was not to be. The Yankee is a neat-looking aircraft, made from a different process. The fuselage is a sandwich of aluminium honeycomb material that is bonded (glued) together (another forerunner to the composite craze?). The fuel tanks are also the wing spars. The aluminium tube fuel tank/spars are small - only 22 gal, which should mean a range of about 4.4 hours at 5 gph. Dream on! Most owners plan on about 3 hours of flying. But while chasing birds and shooting down the enemy, who wants to fly cross-country anyway. Simplicity is the word. 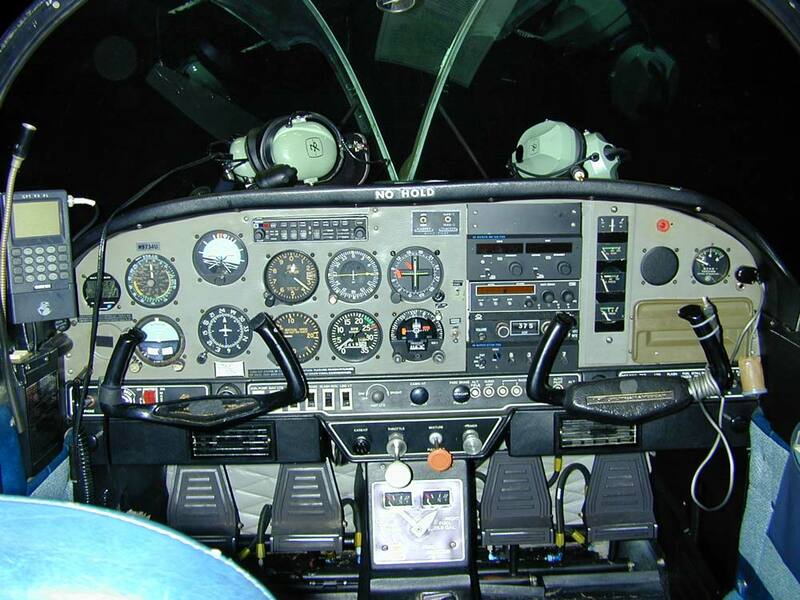 The fuel gauges are sight tubes in the cockpit. The nosewheel is a castoring unit, steering is by differential braking. This wears out the brakes sooner but also makes parking in tight places a breeze. Backing into the hangar is an impossibility without a tow bar (the American Yankee Association used to have a "push your Yankee backwards" competition without using a tow bar!). In general, everything about the AA1 series is simple. The ailerons and flaps are on a long torque tube. The tail feathers are interchangeable, as are the wings. The maingear legs are fibreglass. Most Yankees are simply equipped. One reason is room, another is weight, but the best is KISS - Keep It Simple Stupid. The airplane was designed as a trainer (although many question if it really was); it wasn't designed for long cross-country. Buying and flying a Yankee is for sheer enjoyment, not for corporate transportation. 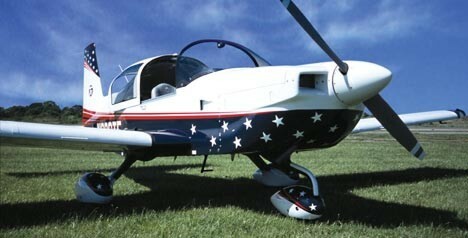 In 1972, Grumman acquired American Aviation, and released the improved AA-5B with a more powerful engine. A further upgraded model, the Tiger, was also offered. Improvements to the basic AA-5 in 1976 led to the AA-5A and its upgraded version, the Cheetah. In 1978, Gulfstream purchased Grumman American, and AA-5 production paused whilst production rights were sold. It was not until 1990 that American General Aircraft Corporation returned the type to production, as the AG-5B. American General stopped trading in 1994. The type is now again manufactured by Tiger Aircraft. The aircraft is cute, usually painted (from the factory) in bright, unusual aircraft colours - red, yellow, orange, even camouflage - anything to set the aircraft apart. The bright colours also help the aircraft overcome its small size. It has a wingspan of 24'. A Cessna 150 has a span of 32'! With an empty weight of about 1000 lbs and a gross of 1500 lbs, the useful is only about 500 lbs (fuel, passengers, and stuff). My stuff usually weighs more than is supposed to be carried, especially with my above-FAA standard 185 lbs and full fuel of 22 gal. Do a few calculations: 185 lbs pilot plus 132 lbs for fuel equals 317 lbs. That leaves 183 lbs for passengers and baggage - not really your cross-country aircraft. 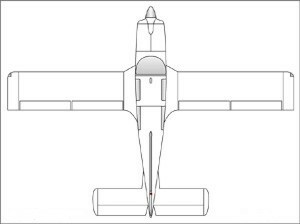 But if you think about the aircraft design - small, quick, fun, fuel thrifty - it really has more of the makings of a good Sunday-morning-breakfast-flight aircraft anyway. Just watch the weight. One thing to always remember about the Yankee, whatever model, is that it likes pavement and it likes runway. I never flew mine intentionally out of anything with less than 2000' of hard surface to run on. That doesn't include clear space at the ends. Most insurance companies want a runway that has about 1.5 times the takeoff distance over a 50' obstacle. That means at least 2100' of runway for the AA1 (takeoff over 50 is 1400'). If it's hot, look for more or stay home! I said intentionally because when I was ferrying my aircraft home for the first time, I had to land on a grass strip for fuel. It was the only runway pointing into the wind, a wind strong enough that I couldn't hold a slip towards touchdown and stay over the runway. I must admit that if it wasn't for the high winds and only myself on board (and the flat, ploughed fields of the Midwest), I wouldn't have made it out of the airport. The flight in ground effect included a turn to stay away from the house on the property! Taxiing is easy. With a full-castoring nosewheel all you do is roll and touch, kind of like using a computer mouse. Roll the direction you want to go and push the brakes to turn the aircraft. The concept is, again, simple. Plus, when you get into those tight parking spots all you do is taxi in, hold the brake, and the Yankee turns around!